Ease your transition into continuous feed inkjet printing. 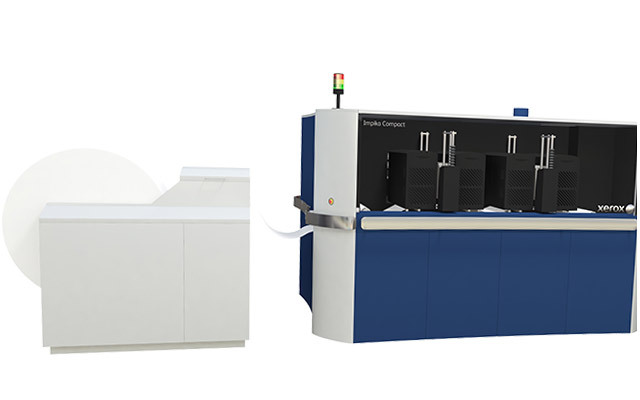 The Impika Compact packs reliable, 2-up duplex continuous feed performance into an efficient design that easily fits into service bureaus and document production centers where footprint can be a concern. With a variety of configuration options and fully field upgradeable, the Impika Compact simplifies the transition from monochrome printing on pre-printed forms to full color “white paper in” printing. You can start with an inexpensive monochrome configuration and later upgrade to full color in one system. Paper Sizes: between widths of 6 to 20 in.